Witnessing the birth of a baby alpaca, or cria, may be one of the most awesome experiences in the life of an alpaca farmer. Here is the story of the birth of ASF Peruvian Arthur. This was the first cria to be born to our HHSF Peruvian Pashmina, in alpaca terms, she was considered a maiden. C’mon, be honest, if I really titled this important article “Parasites” as it should be, would you have clicked on it … I didn’t think so – but if you have alpacas or are interested in getting alpacas, you really need to learn about different parasites and the things available to control them. Breeding is priority number one at a Suri Farm, ltd. Whether it is the reproductive health of our dams or the selection of the appropriate herdsire, we take great care in planning for the breeding process. 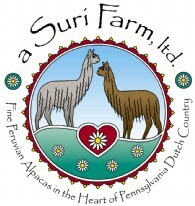 Alpaca owners have to do many things to improve or maintain the health of their herd. 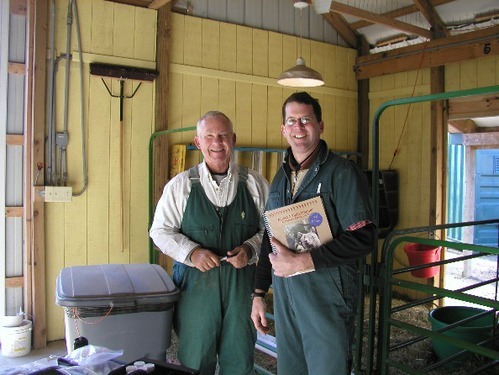 The basics include providing clean water, fresh hay and fertile pastures. In addition to that, many farmers provide an alpaca chow filled with vitamins and nutrients geared toward our South American Camelids. Our days begin as the sun rises and we greet these wonderful animals with which we share our lives. Mornings are a peaceful time at a Suri Farm, ltd. Cheech and Chong, the barn kitties run out to greet Dennis as he heads up the hill to do his morning chores. The alpacas run to the barn eagerly anticipating “chow time.” Most days, the work requires less then a half hour to put out the feed and refresh the hay and water in each stall. If we’ve got pregnant girls close to delivery, we examine them for signs of imminent birth.